Now owned by Amazon and competing with the vast web of information, IMDB offers more than just facts: you can make your own movie lists and reviews and now you can even watch content. 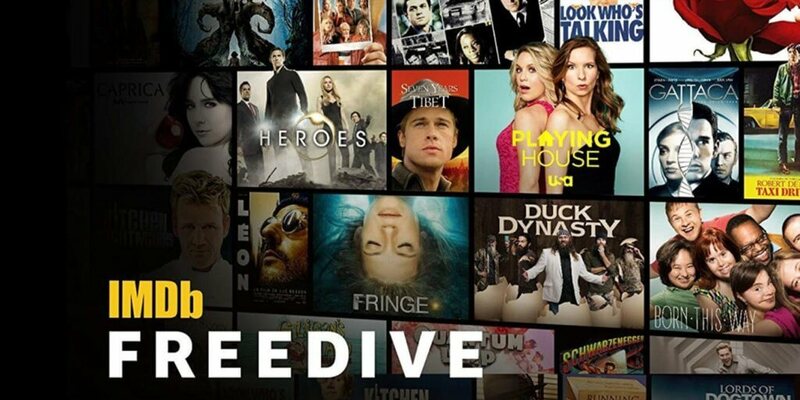 This month IMDB launched a streaming service called “Freedive.” You might think another service is the last thing we need right now – but it does have the notable feature of being free. Is Freedive Really Free Streaming? Yes! Freedive does allow you to stream TV and Movies without a subscription fee. Of course, if there is no such thing as a free lunch, there certainly isn’t such a thing as a completely free streaming service, either. There are ads aplenty that cut into what you are watching, seemingly smashed in randomly. If you are used to Netflix or ad-free Hulu, this can be pretty jarring. The offerings are pretty limited, as well. Although it is owned by Amazon, Freedive does not allow you access to titles that are part of Amazon’s Prime membership video service. What Movies are on Freedive? For movies, it lists 50 comedies and 50 dramas as well as a few others in categories like sci-fi, chills and thrills, date night, family, and documentaries. There are definitely some good ones in there but they are more in the realm of classics than new releases. Perusing them feels less like a list in a streaming service and more like going through my college-era VHS’s. Remember Jackie Chan’s “The Drunken Master”? Or 1980s hit “Look Who’s Talking?” They are there for the taking. “Gattaca,” “Momento,” “Glory,” “Big Fish,” and “The Fisher King” made the list too. Are TV Shows on Freedive? TV shows are there too, but there are fewer of them. There are 18 listed currently, including “Heroes” and “The Bachelor” listed next to “Gillian’s Island” and “Dallas.” You’ll be time travelling even more than Sam Beckett in “Quantum Leap,” which is conveniently on there as well. I was glad to see “Caprica,” the “Battlestar Galactica” prequel that I had completely forgotten about. Sadly, it all feels a bit outdated. Gone are the days of just surfing channels or picking out of the tapes available on the wall at Blockbuster. Today we want exactly what we heard about on Twitter, or if that’s not there, at least another whimsical science fiction comedy with a strong female lead suggested specifically for us. The other factor to consider with Freedive is that it’s not all that easy to find. You can watch it on your TV if you have an Amazon Fire TV device. If you don’t, you’ll have to watch it on your desktop. It doesn’t work on mobile (yet) and it only works on certain web browsers. I got an error message when I tried it on Safari. However, Chrome did work well for me and if I cared to take the time I could broadcast it to my TV with my Apple TV. I’d prefer to be able to just watch it easily with a Roku or Apple TV icon I could select. In the end, watching Freedive is a bit like to trying to eat out by going around to Costco and checking out the free samples. Sure, they are free, and you might just remember a kind of noodle you liked. But in the end, you’ll end up hungry for a restaurant where you can get what you want, and as much of it as you’d like. That said, for cord cutters who are in a lean month and need to cut back, it’s good to have this as an option. You can still have something to watch if you’re taking time off from Netflix and Hulu. There is potential for IMDB to offer us more in time. I’d love to see it combine Freedive with its movie lists and even add a social media component. It would be great to easily see updates on my friends’ “to-watch” lists and reviews with links to where to watch their shows, similar to what Goodreads does for books. Eventually, IMDB might just once again become synonymous with all-access to what you are craving to know about media. For now, however, it will have to be one more voice in the din of streaming services.